This is the 41st issue of the IBC Threat Assessment (IBC-TA), which was initiated in November 2014. It is intended to inform our readers about ongoing and emerging CRBNe-threats that need the attention of policymakers, experts and ordinary citizens. If left unattended these threats may result in grave consequences for different sectors of our societies and/or the security of the general population. As the threat environment is constantly changing existing regulations, crisis plans or security protocols are often insufficient and in need of adaptation or review. The TA’s are based on open sources. OPCW gets the authority to identify perpetrators of chemical weapon attacks and takes new measures to keep pace with new technological and scientific developments and new chemical weapon threats. Worsening outbreak of Ebola in DR Congo triggers first control trial to evaluate the effectiveness and safety of experimental drugs used to treat Ebola patients. The OPCW will get a new laboratory in the town of Nootdorp to keep pace with new developments in science and technology and new chemical weapon threats. 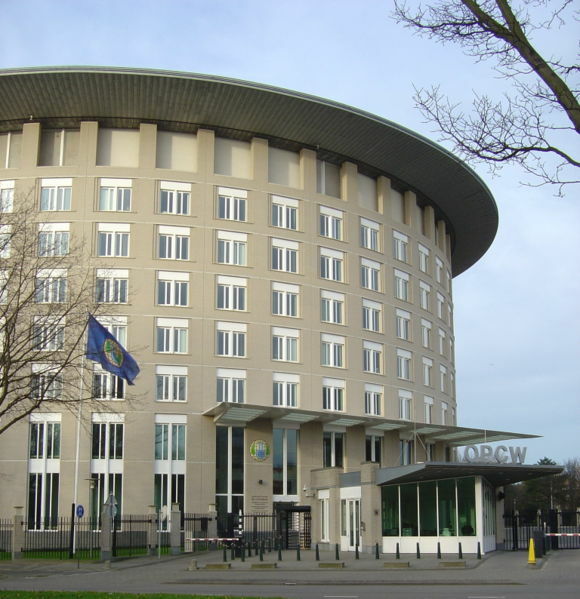 The OPCW gained additional powers to assign responsibility for chemical attacks. A total of €2.4 million is dedicated for a special attribution group. This Syria team will report on three attacks in 2019 and on five more attacks in 2020. A worsening situation in Syria accompanied with an ongoing threat of the use of chemical weapons that could trigger massive retaliation by the West, underlines the importance of an effective international organization that is able to enforce the legal framework of the CWC. This month the Organization for the Prohibition of Chemical Weapons (OPCW) held its annual State Parties conference (CSP-23) followed by the Forth Review conference of the Chemical Weapon Convention (RC-4). At the first meeting the current director-general of the organization highlighted the activities of the organization and described the plans of the organization to bolster both its physical and cyber security. In his address he briefed the State Parties on the progress of the elimination of declared stockpiles of chemical weapons and made several proposals to strengthen the organization. Over 96 percent of all chemical weapon stockpiles declared by possession states have been destroyed. This year, the OPCW stepped up its efforts to address the threat of chemical terrorism. Last June, it held its first conference on chemical weapon terrorism. The Open-Ended Working Group in Terrorism (OEWG-T) and its sub-working group on Non-state Actors are components of the OPCW’s response to the threat of chemical terrorism. For its work the OPCW can rely on an extensive laboratory network. For the analysis of environmental samples the organization works together with 22 laboratories from 18 member states that do have the requisite criteria to become or retain their OPCW designated status. Another 17 designated laboratories from 13 member states are available for the offsite analysis of biomedical samples. The OPCW’s Laboratory and Equipment Store are central to the effectiveness and integrity of the verification regime of the CWC. They also contribute to the OPCW’s capacity-building and international cooperation activities. During the meeting a decision was made on the budget for a new facility that will be located in the Dutch town of Nootdorp. This new facility is needed to meet the demands for increased verification research and capacity-building. It is expected to allow the organization to keep pace with developments in science and technology and new chemical weapon threats. The Netherlands, Canada, Belgium, South Korea, Poland, the US, the UK and the EU will contribute to the construction of the new laboratory in Nootdorp. During a tumultuous CSP-23 meeting a British proposal was adopted (82 vs 24) after Russia and China had withdrawn alternative proposals and amendments by several states were rejected that would have watered down the British proposal. The ‘troika’ (US, UK and France) accused Moscow and Beijing of trying to stall the OPCW’s new ability to attribute blame for chemical attacks. Russia accused the ‘troika’ of a massive disinformation campaign and political and financial pressure on other countries. During the meeting both sides traded bitter accusations. Russia is opposed to the idea of turning the OPCW into a punitive body. It holds the view that this is the exclusive prerogative of the UN Security Council. The decision to identify perpetrators of chemical attacks endorsed a commitment made last June by the countries in the International Partnership against Impunity for the Use of Chemical Weapons, an initiative that was launched by France. With the new authority given to the organization it will be able to assign blame for future chemical attacks anywhere in the world provided that it is called upon to do so by the country in which the attack occurred. With the decision on the new budget that will be raised to € 69.7 million, a surplus will be available that will be used for the creation of a special attribution group that will present its conclusions on eight chemical attacks in Syria (3 in 2019 and 5 in 2020). The new budget of the OPCW will also allow for cyber security improvements. The CPC-23 meeting was the first since four Russians were accused by Dutch authorities of trying to hack into the OPCW’s computer system, at a time when it was probing both the Skripal-case and a major chemical attack in Syria. During the meeting CSP-23 a new chemical attack was reported in the Syrian city of Aleppo. A terrorist organization fired shells containing toxic gases on three neighborhoods in Aleppo. About 100 people were treated in hospital for symptoms that indicate that possibly chlorine may have been used. The OPCW is considering sending a Fact Finding Mission to Syria to investigate the incident. Russia accused the organization of delaying the Fact Finding Mission using the security situation in Syria as an excuse. With the decisions made at CSP-23 and a new budget the OPCW is ready for the coming years to continue its activities. The construction of a new facility in Nootdorp will allow the organization to keep pace with new technological and scientific developments and chemical weapon threats. In the highly politicized debate Russia and its allies had to back down and the OPCW did get its power to assign blame for chemical weapon attacks. Time will tell what this will mean and how this will play out. The Syria team will be allowed to continue its work and will present its findings on eight attacks in Syria, in 2019 and 2020. Identification of the perpetrators of these attacks may have serious consequences for the Syrian government even when it is unclear what these would be. In the end of November the Astana talks began to discuss a peaceful solution for the conflict in Syria. Western countries do not participate in these talks that will focus on the development of a new constitution for Syria. Russia blames the US for still following a hidden agenda of regime change in Syria, which is denied by the US. While Daesh has almost been beaten in the south of Syria by the SDF and the Western coalition, the situation in the province of Idlib is currently heating up. The conflict parties are positioning themselves for a decisive battle to destroy a substantial remnant of terrorist organizations. Russian officials have been warning for a new chemical attack on the SDF with the aim to frame the Syrian government and trigger a new Western retaliatory attack. They claim that some of the terrorists were trained in other countries and already prepared the projectiles that are going to be used and filled them with toxic substances. These developments all the more illustrate the necessity of a strong international organization that will be able to do its investigative work and identify the perpetrators. In the past month the latest Ebola outbreak has further expanded and become the largest outbreak in DR Congo. In November the first multi-drug randomized control clinical trial has begun to assess the safety and effectiveness of drugs used on Ebola patients to find the most effective treatment for the virus. A worsening security situation related to scheduled presidential elections in December could hamper containment efforts. In previous assessments IBC reported on the new outbreak (since early August) of Ebola in DR Congo. As of November 24, the outbreak has expanded to 403 suspected cases (including 356 confirmed case) that resulted in 231 deaths (184 confirmed, 47 probable). In the third week of November 45 new cases were reported. A total of 120 people were cured and 56 cases are under investigation. In mid-November several cases of the deadly virus were recorded in babies, making a dangerous development. Six new born babies and infants under the age of 2 have been infected with Ebola and six cases between ages 2 and 17. One cas was also recorded in a pregnant woman. The most recent outbreak was declared on August 1, and its center is now located in Beni in North Kivu. There are warnings that it could move to Butembo, a town close to Uganda. Vaccination of health workers across the border has already begun. The current outbreak in North Kivu is the first time that the virus has spread into an area already home to a large -scale humanitarian crisis due to militia violence and massive displacement. The violence has had a negative impact on the containment activities. Personnel had to be pulled back from the worst effected areas and health officials are no longer able to locate people who might have been in contact with victims (so-called contact tracing). The current outbreak is already the largest outbreak in DR Congo and is on course to become the second largest Ebola-outbreak ever. Although the WHO classified the threat of the outbreak as ‘very high’ it still is not considered a public health emergency of international concern. One of the key interventions is the vaccination of suspected patients and a second ring of those who may been been in contact with these suspected patients. More than 300 medical specialist were deployed and have vaccinated about 32,500 people-at-risk. In late November the Congolese government and the WHO have begun a clinical trial to assess the safety and effectiveness of drugs used on Ebola patients to find the most effective treatment for the virus. First results indicate that the drugs could reduce the fatality rate from 80 percent to 63 percent. The first multi-drug randomized control trial is coordinated by the WHO and led and sponsored by the National Institute for Biological research, in partnership with the Ministry of Health, the US National Institute of Allergy and Infectious Diseases, and the Alliance of International Medical Action, among other groups. The WHO has developed an ethical framework known as Monitored Emergency Use of Unregistered Interventions (MEURI). The organization expects that the conduct and randomized controlled trials will provide the best means to evaluate investigational therapies and identify the therapies that can benefit Ebola patients. It is anticipated that one single epidemic may not generate conclusive evidence and therefore it is important to plan for and implement a protocol that would allow the scientific community to collect and accumulate robust evidence over a number of outbreaks over a period of time and move away from seeing each outbreak as a discrete episode. The protocol and the criteria for the trial are set out in the WHO R&D Blueprint-Adhoc Expert Consultation on Clinical Trials for Ebola Therapeutics hat was made public in early October. A third important pillar of the containment efforts is an information campaign. More than1700 volunteers have been trained to assist with community based efforts and door-to-door advocacy. This is a necessity as the local population has a higher trust in traditional healers than in modern medicine. The current reluctance to adopt preventive measures has to be removed. The developments of the past month underline the need for continued concerted efforts to strengthen all aspects of the response operations. There are, however, warnings that a ‘perfect storm’ of insecurity, community resistance about vaccinations and political manipulation, may further threaten the efforts to contain the spread of the virus. The scheduled presidential elections for December 23, may contribute to a worsening of the security situation hampering the work of health officials. In mid-November the WHO indicated that with the ongoing containment efforts the outbreak is expected to end in mid-2019. If the outbreak is not contained and if Ebola becomes endemic to the troubled areas in the northeastern region, it may have major implications for travel and trade. The chances of the containment of the outbreak are highly dependent on the possibility to trace contacts of suspected victims and stopping transmission chains. A worsening security situation with higher levels of displacement will reduce these chances. It is expected that the clinical controlled trial that began in November to treat Ebola patients with different drugs could lead to an accumulation of evidence and research that will help better the world, understanding of the effectiveness of currently available Ebola drugs, and new drugs that may be developed in the future. Thanks to the efforts of the International Campaign to Ban Landmines (ICBL) the total stockpile of antipersonnel mines worldwide has been reduced from 160 million to about 50 million. It is hoped that the remaining stockpile can be eradicated before 2025. In 2017, casualties of landmines/ERW were recorded in 49 countries and resulted in 2,793 dead and 4,431 injured; 87percent of the casualties were civilians and of the civilians 47 percent were children. In 2017, non-state armed groups (NSAGs) produce dimprovised landmines in Afghanistan, Iraq, Myanmar, Nigeria, Pakistan, Syria and Yemen. This November, the 20th Landmine Monitor report was published, presenting a global overview of the landmine situation. The monitor covers mine ban policy, use, production, trade and stockpiling in every country in the world, and also includes information on contamination, clearance, casualties, victim assistance and support for mine action. In 2017, only one new country used landmines: Myanmar. In eight countries, however, there are non-state armed groups (NSAGs) that were using landmines: Afghanistan, Colombia, India, Myanmar, Nigeria, Pakistan, Thailand, Yemen. For seven countries there were allegations of the use by NSAGs that could not be confirmed: Cameroon, Iraq, Mali, Libya, Philippines, Tunisia and Ukraine. In at least seven countries NSAGs produced their own improvised landmines: Afghanistan, Iraq, Myanmar, Nigeria, Pakistan, Syria and Yemen. Houthi forces in Yemen were ‘mass producing’ landmines, including victim-activated IEDs. During the year, the monitor recorded a total number of 7,329 casualties (2,793 dead, 4,431 injured) as a result of exploding landmines. A total of 87 % of these casualties were civilians, and of the civilians 47% were children. A total of 60 states and areas are contaminated by antipersonnel mines. The most affected countries (with more than 100 square kilometers of contaminated territory) are Afghanistan, Angola, Azerbaijan, Bosnia-Herzegovina, Cambodia, Chad, Croatia, Iraq, Thailand, Turkey, Yemen and West Sahara. States Parties to the Mine Ban Treaty have destroyed more than 54 million stockpiled antipersonnel mines, including more then 500,000 destroyed in 2017. The current stockpile worldwide stands at about 50 million. A total of 41 states have ceased production of antipersonnel mines. A total of 29 State Parties, one state not party and one other area, have completed clearance of all mined areas on their territory since the Mine Ban Treaty entered into force in 1999. In 2014, the States Parties set the goal to complete their major treaty obligations by 2025. The intense counterterrorism operations by international coalitions in recent years, and a number of ongoing and new armed conflicts, have resulted in disaster areas in several countries. In Iraq, the United Nations Mine Action Service (UNMAS) estimates that landmines and unexploded explosives threaten an estimated 1,100 communities in the northern part of the country and cause on average 30 accidents per month. It is estimated that the city of Mosul is contaminated with eight million tonnes of explosive remnants. Thousands of people were injured as they returned from the camps for the internally displaced. It is estimated that it may take another ten years before the city of Mosul will be secure again. For the year 2017, a total of $771.5 million was spent on international and national support for mine action. About 65 percent of this money was spent in Iraq, Syria, Colombia, Afghanistan and Laos. After the peace accord with the FARC in Colombia, two demining army brigades were established that will concentrate on the removal of explosives from thousands of square kilometers of territory. In November, Austria and Slovenia launched a joint initiative to begin clearing mines in Syria and to help Syrian refugees to return to their country. The Dutch government decided to dedicate €45 million to dismantle landmines. The money will be distributed to projects in a dozen different countries. The ICBL is a good example of a successful campaign against a specific weapon type. 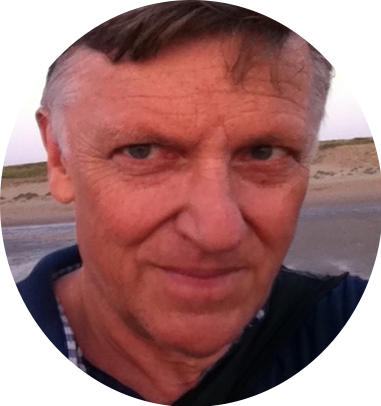 This is in part because of the fact that it has a clear message and goal, a non-bureaucratic campaign structure and flexible strategy; and an effective partnership with other NGOs, international organizations and governments. Launched in October 1992 by only six NGOs, it developed into a global network of more than 1,300 organizations in more than 100 countries, working locally, nationally and internationally, on the goal to eradicate antipersonnel mines. The campaign resulted in the 1997 Mine Ban Treaty that entered into force in 1999. 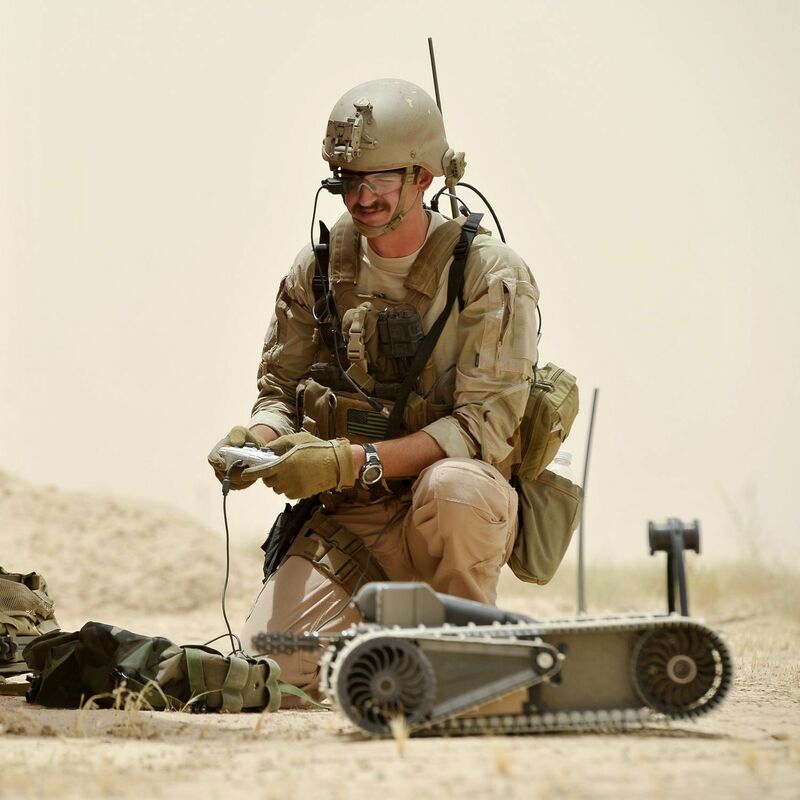 Since than it has been the best framework for governments to alleviate the suffering of civilians living in areas affected by antipersonnel mines. In 2014, a target was agreed upon (in the Maputo declaration) that States Parties should have completed their treaty obligations by 2025. While many agree that this is an unrealistic deadline and unlikely to be achieved, it is a positive sign that the amount of money spent on mine action is increasing and that a number of countries are willing to spent more to guarantee a safe return of displaced populations to their home territories. Mine clearance not only improves the security situation and reduces the casualty rate, it also has positive economic effects on impoverished local populations.